Choosing a lawyer is a difficult process. Whether you face issues after losing a loved one, want advice on selling a home or are facing drunk driving (DWI) charges, it is important you get sound advice before taking any action. I am attorney John A. Cappellini and for the past 15 years, I have been representing people throughout the Cuba, New York, area in legal matters. I take a straightforward approach to working with my clients and offer personalized attention throughout every step involved in their cases. I counsel my clients on all legal options available, the benefits of pursuing specific strategies, and how I, as their attorney, can help with the process. Prior to opening my law practice, I worked in the U.S. Air Force as a helicopter mechanic. I was also a farmer in the Cuba area. I believe that my clients benefit from my "real-world" experiences, as I can often apply that knowledge to my legal practice. I understand the issues that real people face, the potentially negative impact that a legal case can have, and more. Please contact my firm to schedule your first consultation. I handle estates and estate planning, real estate matters, criminal law and DWI, personal injury, business law and consumer bankruptcy issues. 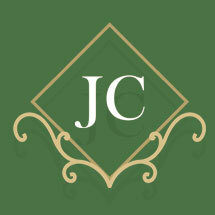 I am attorney John A. Cappellini and my firm is located in Cuba, New York. I accept cases throughout the surrounding areas.